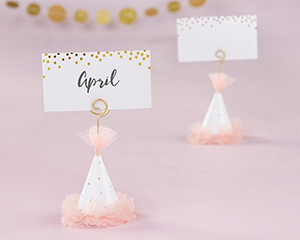 Birthday parties, bachelorette parties, and bridal showers are about to get a whole lot more festive! 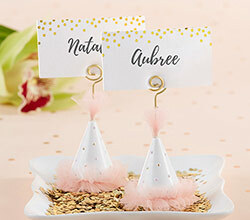 Our Kate Aspen Pink Party Hat Place Card Holder holds your place cards right on top of adorable pink and white speckled party hats. 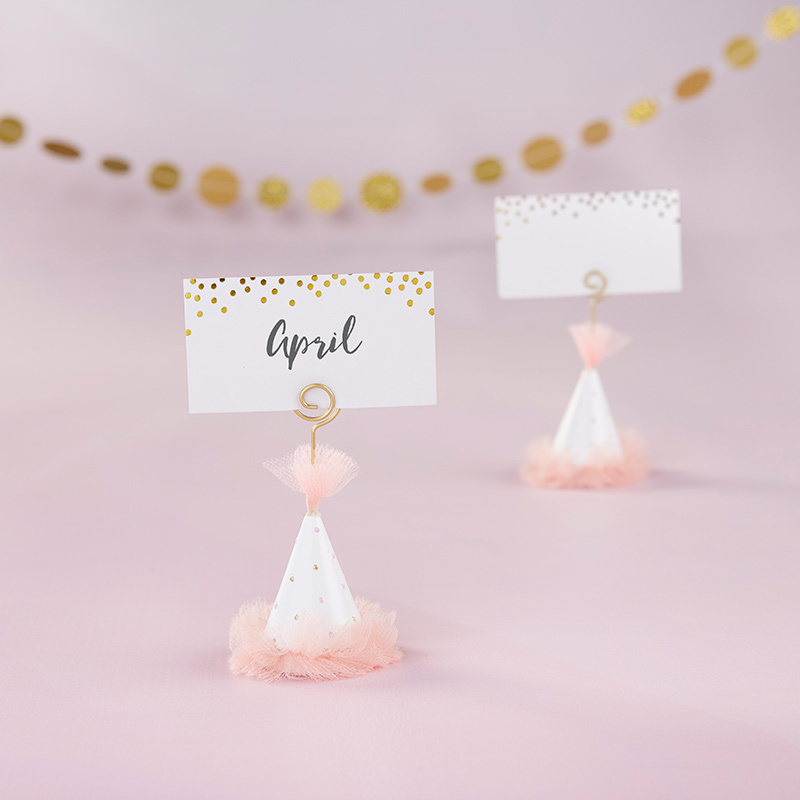 Made from resin, each set of 6 comes with matching place cards. 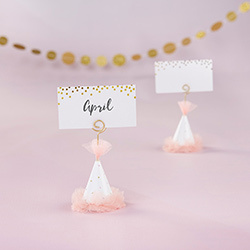 Gold wire place card holder tops a white party hat with pink tutu details and gold foil specks.